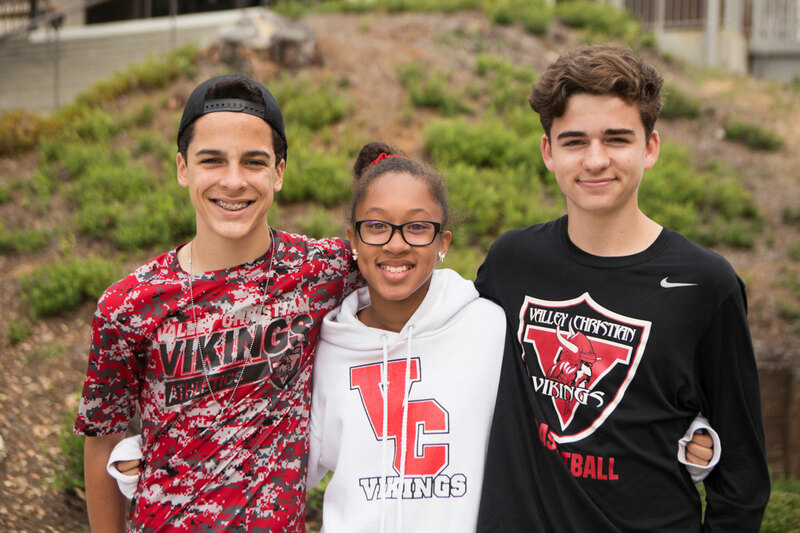 Valley Christian middle school students are navigating adjustments in physical, academic, and personality growth. “Thoughtfulness” is a key element to assist them as their brains and emotions mature. First, sixth graders learn that they are thinkers. The key phrase, “I am a thinker” leads them to a fresh awareness of individual cognitive processes across disciplines. The Outdoor Education trip solidifies the learning on developing as a thinker through science content and problem solving activities. In seventh grade students learn to listen to the thoughts of others. Across curriculum, students hear the voices of others from unique characters in literature, to awareness of other cultures in Geography. This “you” stage culminates in an end of the year community service project. The final year of middle school is about collaboration and synergy. Eighth graders engage with the “Us” theme, learning teamwork strategies across every strand of their school experience. The end of year Washington DC trip calls upon their newly forming skills to problem solve as a group traveling together. We understand the steadying supports needed for student success through the uneasy middle school years. Each child is assigned a co-ed Advisory group of 12 – 15 students, led by a teacher. This small group becomes the students’ on-campus “family.” They meet twice weekly to connect on how life is going, socially, spiritually, and academically. The Advisor knows each student and is the first connection from school-to-home.